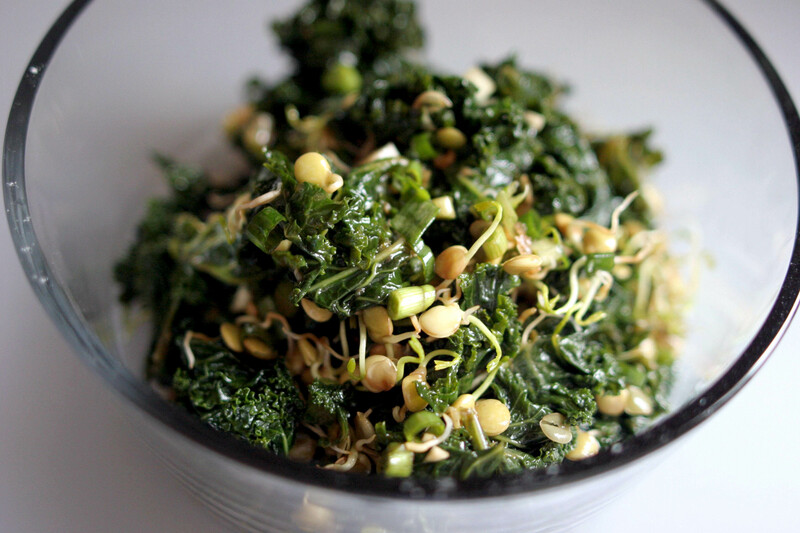 I few weeks back I ate a great raw kale salad at my friend’s Faith Giordano’s home. I love how the salad was a meal on its own. Faith made her salad with cooked lentils, cheese, dried fruits. I was reminded and inspired to play with the combo and use my sprouted lentils. The best part, this salad gets better with time. 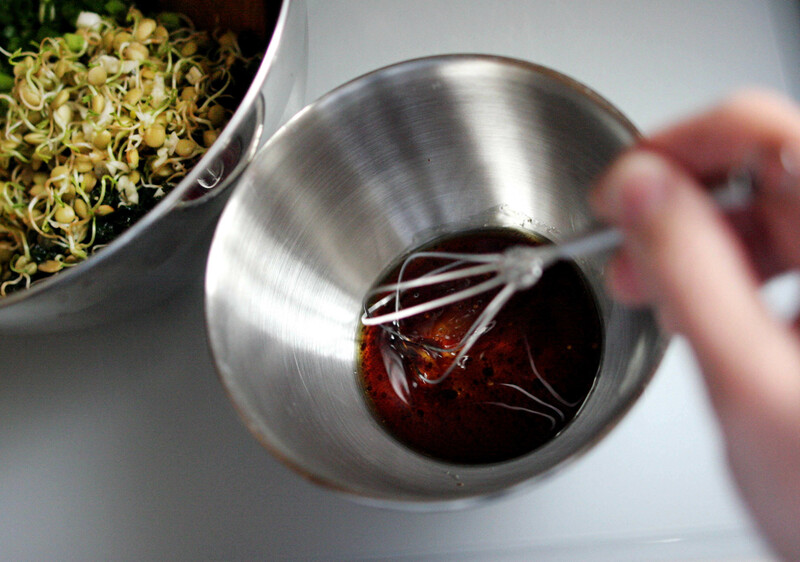 Whisk oil, and vinegar, maple syrup, add salt and pepper to taste. 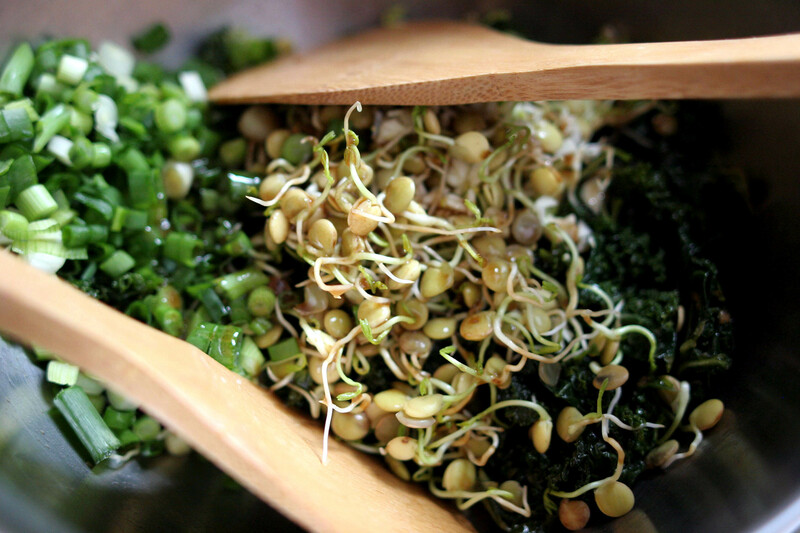 Pour the mixture over kale, lentils and green onions. 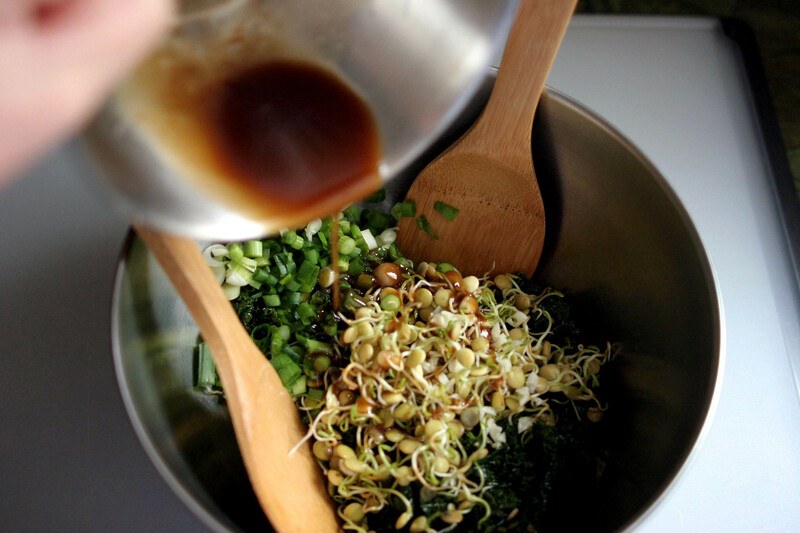 Toss the salad, mixing well. Refrigerate 4-8 hours.